Federal Highway Administration fibers spanning nano/micro crack in a cementitious composite. With over 600,000 bridges across the United States averaging 42 years of age, annual Federal repair and rehabilitation costs for fiscal year 2010 were in the region of $7 billion.1 Following significant public sector investment developing nondestructive evaluation (NDE) and structural health monitoring (SHM) tools for objective condition assessment, a recent workshop supported by the Federal Highway Administration’s (FHWA) Exploratory Advanced Research (EAR) Program addressed the use of NDE as an effective and efficient bridge maintenance and asset management tool. The Workshop on Nondestructive Evaluation for Bridge Maintenance was held January 2011, at the Transportation Research Board’s 90th Annual Meeting in Washington, D.C. Over 60 attendees, representing the research community, bridge owners, regulators, and policy makers, listened to presentations from a variety of speakers, including State department of transportation (DOT) representatives, university researchers, and international experts. Many techniques used to assess bridge deck condition were discussed at the workshop, with an objective of keeping bridges open. These included the half-cell potential method, anode ladder system, ground penetrating radar, induction thermography, elastic waves, chain drag and hammer sounding methods, and impact echo devices. Other monitoring systems included sonar equipment to monitor scour and fiber optic sensors to monitor strain and temperature. Attendees were also given a detailed overview of bridge management in Japan, which has over 150,000 bridges with a span over 15 m (49 ft). Hitoshi Furata of Japan’s Kansai University explained the lack of budget to take care of Japan’s aging infrastructure. Ming Wang of Northeastern University then explained his research into roadway monitoring using traffic-embedded sensing. The project involves implementing state-of-the-art technology into vehicles to detect pavement condition at traffic speed, using tire-excited acoustic sensing and tire-pressure sensors. Traditionally researchers have relied on reading peer reviewed papers and attending conference presentations to learn about advanced research in their field, however the EAR Program seeks new methods for accelerating research. It can enable multiple institutions and fields to collaborate on NDE for highway structures through a virtual laboratory that promotes the use of standard testing samples, fully documents research processes, allows for sharing and reuse of research data, and provides analysis and visualization tools that can be applied to collected data. These types of collaborative research tools have had a dramatic impact moving research from science into applied technology. Prior to the NDE workshop, the EAR Program sponsored a project entitled “Nondestructive Evaluation for Corrosion Detection in Reinforced Concrete Structures Incorporating Time-Resolved Thermography Combined with Three-Dimensional Microwave Imaging.” The project focused on reducing the estimated $121 billion per year spent on corrosion control methods and demonstrated the power of collaboration on critical and persistent research questions. 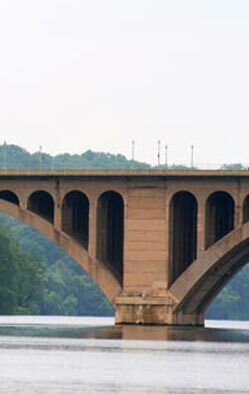 For more information on the EAR Program and NDE, contact Rebecca Curtis, NDE Laboratory Manager, at 202-493-3066 (email: rebecca.curtis@dot.gov) or Hamid Ghasemi, Long-Term Bridge Performance Program Manager, at 202-493-3042 (email: hamid.ghasemi@dot.gov). 1“Highway Bridge Program: Condition of Nation’s Bridges Shows Limited Improvement, but Further Actions Could Enhance the Impact of Federal Investment,” Phillip R. Herr, U.S. Government Accountability Office (GAO-10-930T), Washington, DC, 2010, p.2. To learn more about the EAR Program, visit the Exploratory Advanced Research Web site at www.fhwa.dot.gov/advancedresearch. The site features information on research solicitations, updates on ongoing research, links to published materials, summaries of past EAR Program events, and details on upcoming events. For additional information, contact David Kuehn at FHWA, 202–493–3414 (email: david.kuehn@fhwa.dot.gov), or Terry Halkyard at FHWA, 202–493 –3467 (email: terry.halkyard@fhwa.dot.gov).